The baby Jiren in that DA is account is adorable, we need to see it used somehow. Excited to see some Super content. I don't really see the softness thing, but I feel like the impact on his hits looked low. It might just be from how early the character is though. Maybe the attack animations needs more anticipation/start up frames? Or a bit of overshoot, and snap back? No? Look at the muscle definition on Vegeta and Freeza's legs, compared to Jiren. It's easiest to see there, but it's present throughout most of the sprite. Edit: Just poked around with adding some extra muscle. Jiren doesn't have that definition in the show though. 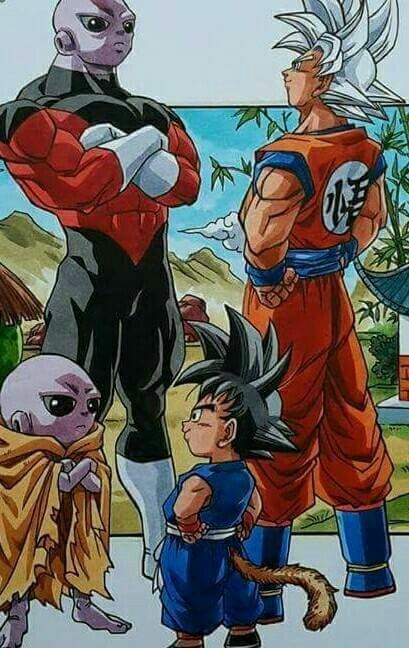 To me Jiren is supposed to look a little flat. It's part of his character design. I don't care that much either way though. I think the original and the edit both look good. You can find shots of any character in Dragon Ball with lacking or highly defined muscles. The point is that the Z2 style, for the most part, has very sharply defined muscles. I didn't really notice it much in the teaser but yeah, the edit does look like a better fit. Could be, I don't have enough familiarity with animation to be able to visualize a fix. But if you look at the punch animation, it seems like Jiren's just stepping into the punching position. It feels wishy-washy; if it was a light attack or he wasn't trying then he wouldn't need to step out of his stance, if he was trying he'd be using his body to put more force behind the blow and not just get closer. Putting it another way. When Jiren first starts off, he's proud of his strength and doesn't take opponents that seriously. He walks through or effortly blocks weaker attacks, and when he attacks he just plows through the opponent. Even if you look at the first reveal of Ultra Instinct, he doesn't bother taking a defensive stance when he's being attacked, he just moves his arms. Then later Vegeta and Goku and breaking their limits and the U7 team is ganging up on him, and he has to actually start putting in an effort. The character can represent "both Jirens", but it might be better if individual animations feel like it comes from one stage of the fight or the other. That way the moves have the right personality, and you're thinking about where all of the force is coming out.